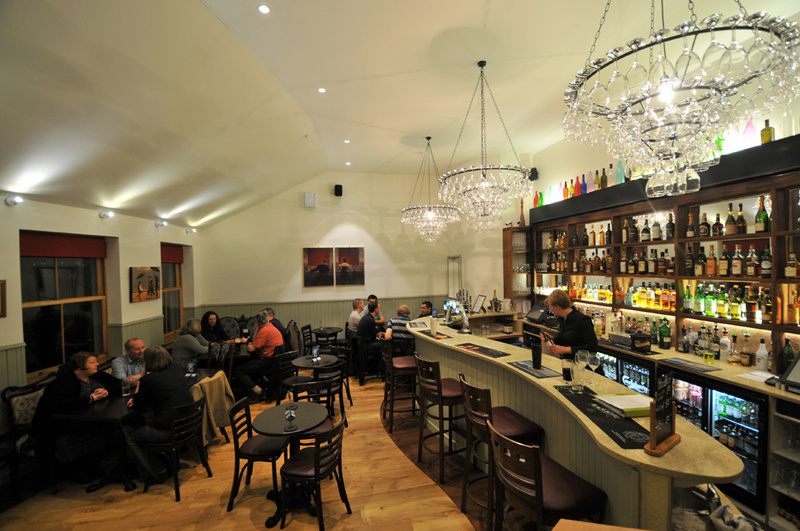 A view of the bar in the rebuilt and reopened The Islay in Port Ellen. Note the interesting light feature on the ceiling. This entry was posted in Night, Repost, Village and tagged Islay, Islay Hotel, Port Ellen by Armin Grewe. Bookmark the permalink.